Major changes have now been implemented with regards to the issuing of NPORS Construction Plant Operator cards. The changes are made in reaction to reports that both the Construction Leadership Council (CLC) and Build UK will in the future only accept on site holders of cards that feature the CSCS logo. As from October 2016, NPORS cardholders will now have the opportunity to apply for cards to have the CSCS logo on them. 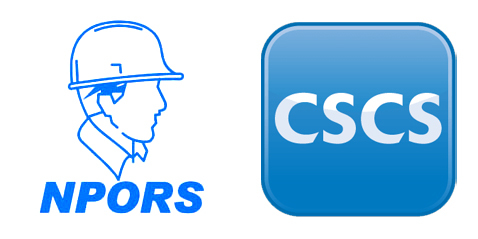 So if you’re wanting the CSCS logo on your NPORS card in the future, what do you need to do? It all depends on whether you have the relevant NVQ for that plant category you already hold or are planning to achieve. If you’re being trained and tested from October 2016 onwards to obtain a new NPORS/CSCS category, you will be issued a Trained Operator Card that is valid for two years. If you already have a traditional NPORS card for that category prior to October 2016, you will be given the opportunity to apply for a NPORS/CSCS Transitional Card that is also valid for two years. Within that period, you will need to have an NVQ relevant to that plant category registered and achieved for that plant category. Upon completing this, you can then apply for a NPORS/CSCS Competent Operator Card that is valid for five years. Please note that prior to applying for a Transitional, Trained Operator or Competent Operator card, you will need to have passed the Health, Safety and Environmental Touch Screen Test within the past two years. If you already have the NVQ for that item of plant, then make sure that you have passed the Health, Safety and Environment Touch Screen Test within the past two years. If you’re being trained and tested from October 2016 onwards to obtain a new NPORS/CSCS category, you will be issued a NPORS/CSCS Competent Operator Card that is valid for five years. If you have held the traditional NPORS card before October 2016, you can also apply for a NPORS/CSCS Competent Operator card. In either situation, you will also be given a logbook which you need to keep up to date with your operating hours in the workplace and your continuous professional development (CPD). Please note that if you do not require the CSCS logo on your NPORS card, the option to apply for a traditional NPORS card will still remain. HR Training & Development Ltd can provide your training needs with NPORS tests, Plant NVQs and Touch Screen Tests. If you need further information and guidance, feel free to phone our friendly sales team on 0333 301 3000 or contact us here.